Welcome to the start of another week. It's going to be a tad hellish around the Sports Take offices over the next couple of weeks. Thursday marks the start of the Minnesota State Fair, from where WCCO Radio will be broadcasting live for 11 straight days. Usually it's twelve, but starting on Labor Day this year, the Republican National Convention will be in downtown St. Paul (and by extension, downtown Minneapolis). So tack on 4 more days of all-day remote broadcasts. So basically for two weeks starting Thursday, I'll be considering what life would be like on a window ledge somewhere whilst holding an automatic weapon. Okay, it's not that bad. But it's not fun. So forgive me if the next couple weeks-worth of Takes have an angry, exhausted tinge to them. Just know that I'll be endeavoring each and ever time to meet your lofty expectations! "Vin Scully talks too much. We all love you Vin, but you still talk too much. Listen, I'm so tired of talking about this stuff. It diminishes my whole career and all the hard work. I take it as an insult." Atta boy Jeff. Just ignore the fact that Vin's actually right. That your average has gone up more than 20 points since Manny joined the team is pure coincidence. No right-thinking baseball fan would connect those two things! And why not go after a legend if you want to make a point! Nobody will think less of you if you take a run at a guy who's given more to the game than you ever will. Just keep flapping those gums son! I'm sure it'll all work out well for you in the end. - Did you see Jason Giambi's grand slam on Sunday? Yeah, me neither. And it's not that the home run itself was significant. But it was Giambi's 14th career tater with the bases loaded. That number ties him for 14th on the all-time list with Gil Hodges, Mark McGwire and Mike Piazza. Apparently shaving the mustache had a good effect on the Giambino. 14 grand slams doesn't lead his own club however. Alex Rodriguez holds that designation (big surprise) with 16 career Salami's. I think that Giambi still leads A-Rod in "number of mentions in a Jose Canseco book" though. So Jason has that going for him! - Speaking of tied records, Seattle pitcher R.A. Dickey tied one against the Twins on Sunday with 4 wild pitches in a single inning. Throw in a passed ball and catcher Kenji Johjima had a heckuva workout. Bob Uecker has my all-time favorite quote on catching a knuckleball, "The way to catch a knuckleball is to wait until it stops rolling and then pick it up." That advice didn't work so well for Kenji on Sunday. But it's still terribly entertaining. Well, for those who aren't Mariners fans anyway. 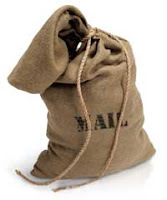 Finally today, it's this week's Sports Take Mailbag segment. CC Sabathia has been absolutely unreal - can you win the Cy Young with only 15 starts? That's an excellent question David. My gut instinct is, "no". But let's dig into this a little bit. You're right, Sabathia has been nothing short of phenomenal since he was traded to the Brewers. In 8 starts, he's 7-0 with a 1.55 ERA and 60 strikeouts with only 13 walks and a gaudy WHIP of only 0.969. The Brewers certainly couldn't have expected any more. But can he keep up that pace? And if so, will half a season of outstanding statistics make him worthy of Cy Young consideration? And finally, if both of those questions are answered in the affirmative, will he actually win the damned thing? First, can he keep up that pace? I don't see any reason that he can't. CC has regularly pitched around 200 innings and in 2006, he threw 241. Translation? The guy doesn't wear out much. You can keep running him out there start after start and he's not going to break down on you. So unless he suffers a freak injury, or suddenly loses track of his mechanics, I don't think there's any reason he can't keep going at the pace he's at. Second, will he have enough appearances to justify consideration for the award given he's been in the NL for only half a season? Believe it or not, there is a precedent for this situation. In 1984 Rick Sutcliffe won the NL Cy Young Award after being traded by Cleveland to the Cubs mid-season. Sutcliffe started 20 games for the Cubs that year, posting a 16-1 record with a 2.69 ERA, 155 strikeouts, 34 walks and a 1.078 WHIP. So if we're going to say that 20 starts is a relative baseline, then how many will CC end up with? If you go through the Brewer schedule and say that CC will start every 5th game, then he'll have 8 more starts (including tonight's game against Houston which I believe is going to be on ESPN)for a total of 16. But considering that the Brewers are in the thick of a playoff race, my guess is that Brewer managers Ned Yost will take every opportunity he can to skip his 5th starter and get CC more work. That means he'll end up with more like 18 total starts. And that certainly seems close enough to earn him consideration. Finally, given that I've decided on positive answers to the previous two questions, will CC actually win the 2008 NL Cy Young award? Unfortunately for Brewer fans, I think the answer here is "No". Not through any fault of CC's mind you. But there are too many pitchers having monster years in the National league for him to sneak through on half a season. Arizona's Brandon Webb is probably the leading candidate with his league-leading 18 wins and sub-3 ERA. But close on his heels are San Francisco's Tim Lincecum (13 wins, league-leading 2.60 ERA), Cincinatti's Edinson Volquez (though he's slumped some lately) and even Arizona's Dan Haren is in the mix. If the race were more wide-open (see: 2008 AL MVP race - can you name a clear favorite? I can't), then CC would have a strong shot. And I still think he'll get strong consideration. It wouldn't surprise me a bit if he finished 3rd. Maybe even 2nd. But I don't think he'll win it. It's a hell of a story if he does though! Thanks for the question David. Remember you can submit your question to: dcook93@yahoo.com. There are no stupid questions, just stupid answers. But I'll try to make them entertaining anyway! That's all for today folks. Hope your week is off to a rousing start. I'll be back on Wednesday with more Sports Take wonderment. Until then, thanks for reading!